As the capitol of Georgia and one of the biggest cities in the world, Atlanta is home to a diverse range of culture and has an extensive history. Nicknamed The Gate City, this city is a center for trade, transportation, arts, and innovation. There’s always something to do in Atlanta, no matter what you’re looking for. Visitors to Atlanta frequent the city’s attractions, including things like the Georgia Aquarium, Zoo Atlanta, and the iconic World of Coco-Cola. For an intriguing educational experience as well as some fascinating sights, the aquarium and zoo are some of the biggest in the region and house animals from around the world. Curious about Coke? Stop by The World of Coca-Cola to discover the history of the brand and taste products from around the world. Food lovers won’t be able to get enough of the city’s fine dining. Places like McCormick & Schmick’s Restaurant, Café Sunflower, McKendrick’s Steakhouse, and Nuevo Laredo Cantina offer some seriously good eats, each with a unique Atlanta twist. For more information about restaurants, click here. When you’re not busy admiring the city’s beautiful skyline, stop by Atlanta’s range of parks to experience some breathtaking scenery. 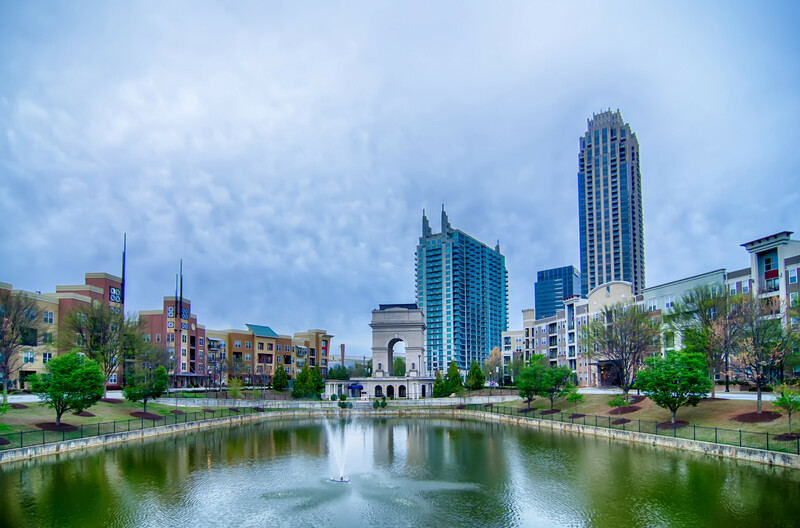 The Atlanta Botanical Garden, Piedmont Park, and Woodruff Park are among the most popular in the area. For something a little more isolated, check out the Chattahoochee River National Recreation Area to get way from the big-city feel. Finally, Atlanta has some of the best museums in the country. Visitors love to see exhibits at the Atlanta Civil War Museum, Monetary Museum, and the High Museum of Art. Don’t forget about the Martin Luther King, Jr. National Historic Site, where you can remember the famous civil rights leader. No matter what you’re looking for, there’s always something to do in Atlanta.